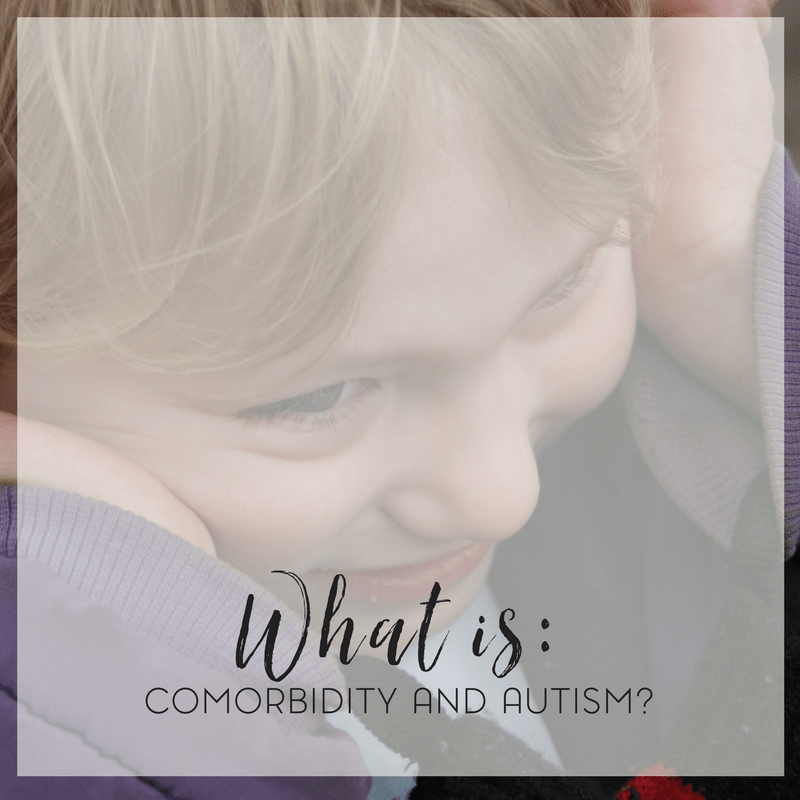 What is Comorbidity and Autism? Here we are with Day 3 of the A to Z challenge, which in conjunction with Autism Awareness month, I’ve chosen to do Autism A to Z. Day 1 covered 10 Myths About Autism and Day 2 was about behavior and ABA therapy. For Day 3, the topic I’ve chosen is Comorbidity and Autism. But just what is comorbidity? It certainly doesn’t sound like a great word, what with morbid being in it’s name at all. So before we get to talking about how it relates to autism specifically, I’ll talk about what it is. First things first, let’s get to the definition of comorbidity. Because, I’ll admit, when I first saw the word I was more than a little confused and a bit scared. But my eyes were drawn to the “morbid” so I immediately thought it had a negative connotation. However, according to Mosby’s Medical Dictionary, 8th edition, comorbidity is defined as follows: “two or more coexisting medical conditions or disease processes that are additional to an initial diagnosis.” When you look at it that way, it does make more sense and maybe it’s not quite so negative. 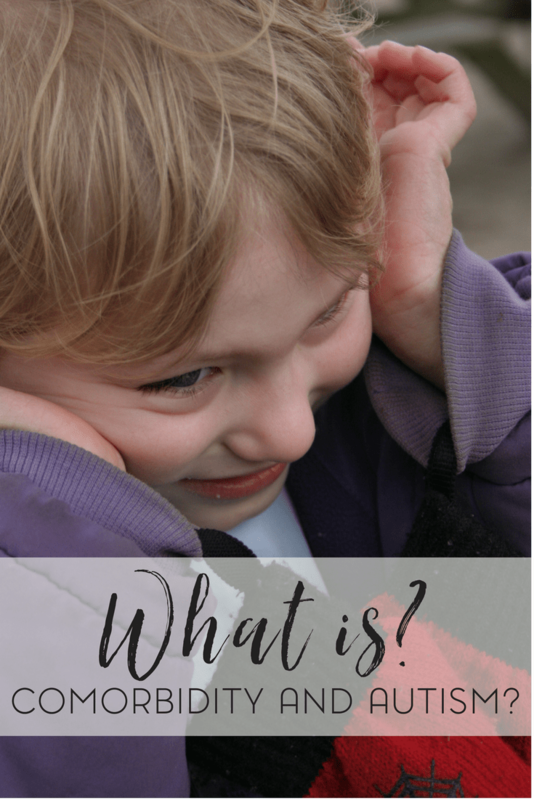 So what does it have to do with autism? Is there really such a thing as comorbidity and autism? It may not affect every single individual with autism since autism is a spectrum disorder. And as the old cliche goes: when you’ve met one person with autism, you’ve met one person with autism. Even siblings that have been diagnosed or twins, for that matter, may not have the exact traits, behaviors, severity, etc. So back to our topic. What else can present itself with autism? Other co-morbid disorders include Obsessive Compulsive Disorder (OCD) though this also seems to be a general trait that presents itself in individuals with autism. Sweet B, for example, when she was younger always had to line up her toys a certain way. Or the magnets on the fridge had to be in a certain arrangement. In fact, one day (many years ago) while Sweet B was at school; I took it upon myself to rearrange the artwork and things on the fridge. After coming home, Sweet B took one look and within five minutes? She had everything back to the way it was. Right down to the angles. Other diagnosis that can be received alongside autism include: Intellectual Disability and Epilepsy. So if you’re thinking that your child may have something else present along with their autism, is it worth it to get them tested more rigorously? From a parental standpoint, it may give you peace of mind so you know what to treat and how to treat it. I’m not advocating for medication but if you research a therapy or diet that may help part of their diagnosis (ADHD for example), it may also be beneficial to your child’s autism. I think it also helps with an IEP and getting services through various agencies. Sweet B, for example, has mild Intellectual Disability. This additional diagnosis allows her to access some other services that she wouldn’t be able to access if she was just diagnosed with autism. 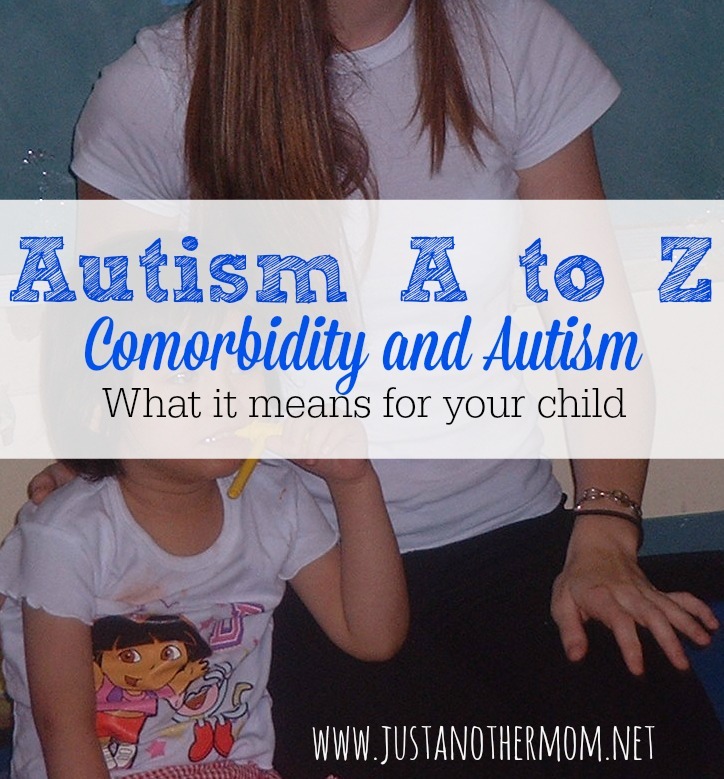 Comorbidity and autism may seem overwhelming at first, and I understand that completely. You may have just adjusted to the the autism diagnosis and now you have an additional diagnosis and set of terms to deal with. But don’t look at it as an entirely bad thing. Maintaining a positive attitude, though not always easy, can help through this situation. Look for additional support groups or ask around in your existing support group. You may never know what resources are available to you unless you ask and look around. I agree with you. If you don’t you, it would seem you are only seeing part of the bigger picture. When I first read comorbidity, I saw the word “morbid”. Now that I know the definition I can name many students I have had that would fall under that definition. I love learning new words….Thanks! I agree. You have to be your child’s champion and make sure they are tester thoroughly. It is so important to his or her total well being.